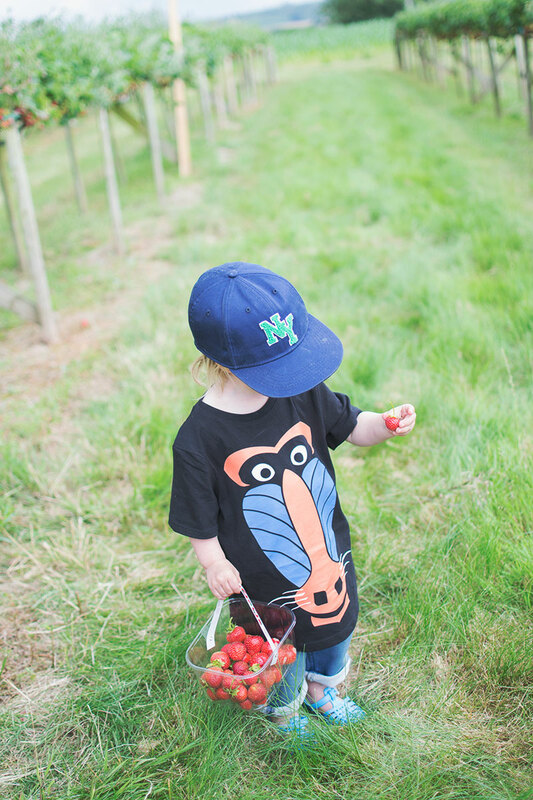 A few weeks ago we went strawberry picking to Chosen Hill Farm near Bristol, it’s a been a couple of years since the last time we went, in fact Tiger was still a little baby! It was really hot and sunny on our last visit but this time we weren’t so lucky with the weather, all in all this summer has been awful but I guess luck was on our side a tiny bit as it didn’t start hammering down with rain until a few seconds after we got into the car with our strawberries. We started the day with a trip to our favourite cafe and as it was a few days before my birthday I treated myself to a huge slab of cake full of cream and strawberries. Sometimes when you go to a cafe for cake it’s a bit old and stale but this one had just been made so it was delicious, hence why I still remember it! Then we headed over to the pick your own farm, it’s near the Chew Valley Lake which is such a gorgeous area. The kids loved it although we did have to sort through Tiger’s basket afterwards as he wasn’t too good at telling the good strawberries from the green / mouldy ones! We quickly ran around filling up our baskets then we felt a change in the air, it went cold and the sky started to darken so we ran back to pay and as I mentioned above, just made it back to the car in time. When we got home the kids stuffed their faces and I made a smoothie. I think letting kids pick their own fruit is a great as it teaches them where it comes from, without ever seeing them grow it makes sense that kids would just assume they come from the supermarket. One day I would love to grow some fruit and vegetables in my garden but I know it wouldn’t do well at the moment as I just don’t have the time. If you want to find out what fruit is available and when then the number is phone is on their website.